This is the world’s first drop forged plate that has the hind shoe in a left and right pattern. The outside branch is a little longer than the inside branch, and the outside branch is wider from the quarterback. The outside heel is wider to give the foot more cover and support. 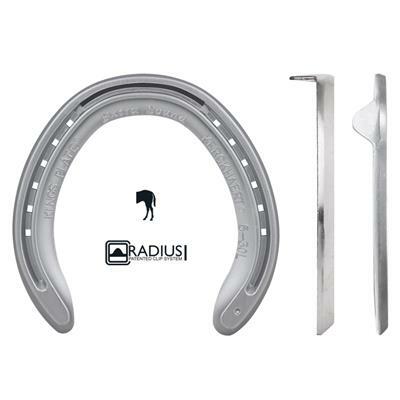 The inside branch is bevelled to reduce the risk of brushing and has a tapered inside heel for close fitting. The plate has a radius toe clip.